Such a fun card, Tracey! I love this, Tracey. 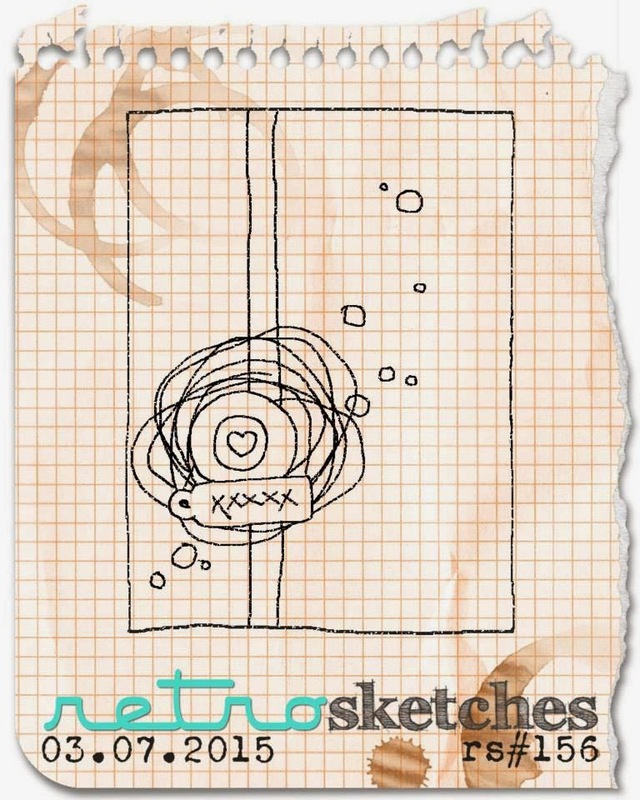 I haven't played at Retro Sketches in a while but since I have that Scribble die, I think this will be the time. AWESOMELY cool Tracey! Love this card! Oh ,I love this Tracey! Such a clean design. I was playing around with patterned paper on my desk and made a card the other night that will work for this sketch! Yay,you have inspired me...again. Oh, I love this sketch, and your wonderful take on it, Tracey! Beautifully done! Fantastic card, Tracey. Love that focal point you made, and fun use of patterned papers. Such a fun card Tracey, love the tin pin! For some reason this one seems perfect for a teenage boy, in my mind anyway LOL!! Fabulous take on the sketch! The scribble die cut is perfect! Love the orange and the fun button! Fantastic take on the sketch! I love all your elements! I have some flairs and I'm never sure how to use them! What a fun card. I love the sketch and all your fun enamel dots. Screams cool and funky... and I scream every time I see this die cut, knowing I missed out!! Beg is right....perfection on paper! Every detail just so RIGHT! Love this card! Sooo much fun Tracey, love the design papers and bright embellies, you have balanced it all perfectly! Fabulous card Tracey...I love that patterned paper and that sweet little pin, so fun. This is such a fun card. Love your take on the sketch!! 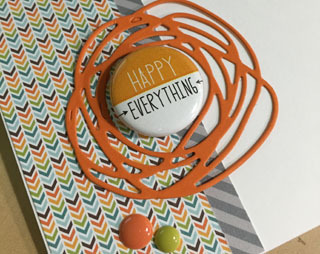 great use of the squiggle die, love the papers and colors! Oooh, so pretty! 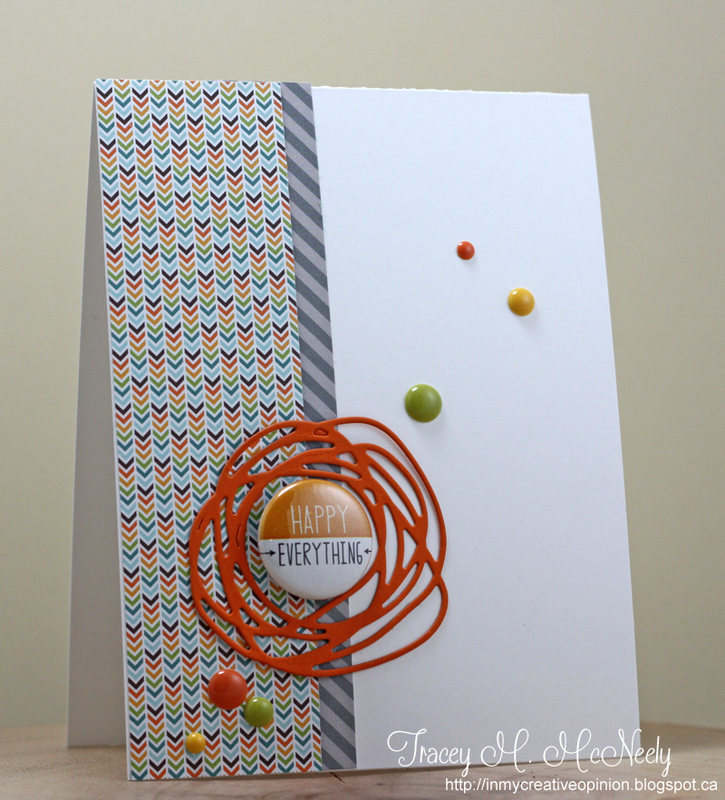 I love the papers you chose for this card, and your Circle Scribbles are the perfect element with the Flair button! Fabulous take on the sketch! What a fun & happy card! Love your take on this weeks sketch! Love how the die cut perfectly frames the flair! Love, love, love the colors on this. The flair is fantastic with that orange scribble! !